Welcome to the Oadby Watch money pot. First of all, we'd like to thank everyone for joining and participating in our fast-growing community. Your participation contributes to the efforts in keeping our community safe and reduce crime by keeping everyone informed of what's going on in the area. To reduce crime - by improving security, increasing vigilance, creating and maintaining a caring community, reducing opportunities for crime and increasing crime prevention awareness. To assist the Police in detecting crime - by promoting effective communication and the prompt reporting of suspicious and criminal activity. To reduce the fear of crime - by providing accurate information about risks, and by promoting a sense of security and community spirit, particularly amongst those most at risk. 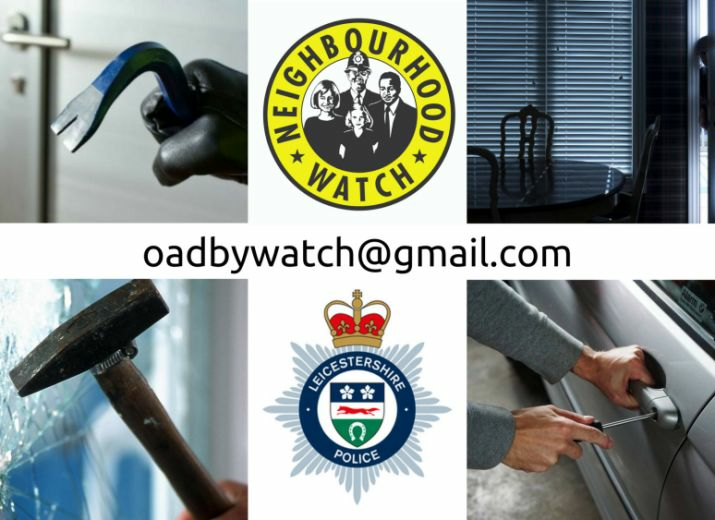 To improve police/community liaison - by providing effective means to notify co-ordinators and key contacts of local crime trends, and by members advising the police of incidents when they occur.